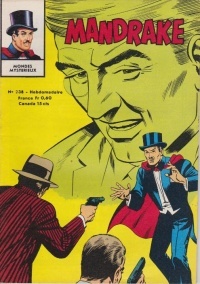 Mandrake #238. Note: Incorrect date is printed on inside, December 4 1969. "Jeu de hasard" ("The Game of Chance" part 2) by Lee Falk and Fred Fredericks. This page was last edited on 15 June 2014, at 10:06.